Today the band unveils a special video clip on their cover version of the GENESISclassic ‘I Can’t Dance’, which is available as a bonus track on »Ecliptica – Revisited; 15th Anniversary Edition«. 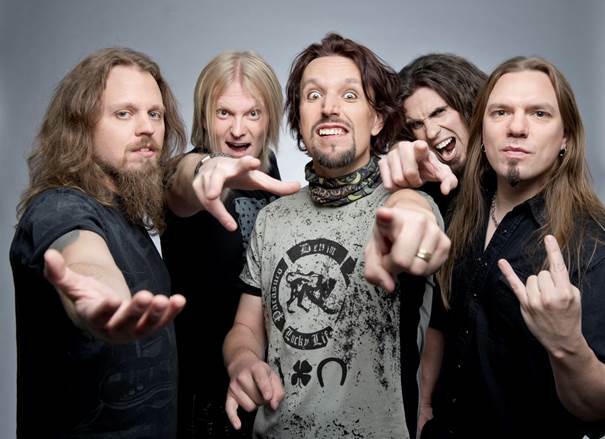 Commented vocalist & keyboardist Tony Kakko: “Instead of filming yet another tour documentary, showing venues and our daily routines again and again, I thought it would be fun to create some kind of music video instead. So, as we were getting ready to embark on our North-American leg of our »Pariah’s Child« tour we decided to take the opportunity to promote the fresh re-make of our debut album »Ecliptica« by using a song from that release. Idea wise our cover version of GENESIS’ ‘I Can’t Dance’ (»We Can’t Dance«, 1991) seemed the easiest and most fun to make happen. I mean, walking and dancing around North-America… sounds like a fun thing to do, right?! And that it sure was. The experience ranged reaction wise from “no one even paid too much attention to us”( in New York filled with dancing maniacs such as me and Pasi, I suppose) to “people looking a little scared and a cop telling us to move further away from our subject” (San Antonio). No, we did not get arrested. Damn…Originally we recorded the cover as a bonus for »Stones Grow Her Name«, but for some reason it never wound up anywhere. Better late. I’ve always liked the song. I like many, many GENESIS songs actually, but I remember one day coming up with this idea to do something fun with ‘I Can’t Dance’ and adding the horn sections and see how it sounds. Sounded great! I had been listening to AEROSMITH a lot around that time and I really like the way the spice up their songs with trombones and trumpets and such. I made a demo, asked a trumpetist Mika Mylläri to polish the horn arrangement and together with saxophonist Sakari Kukko they made the whole thing sounds just perfect. It was legendary. We had Sakari Kukko, Niko Kokko and Tony Kakko in the studio at the same time. I’m very pleased we finally get this baby out. 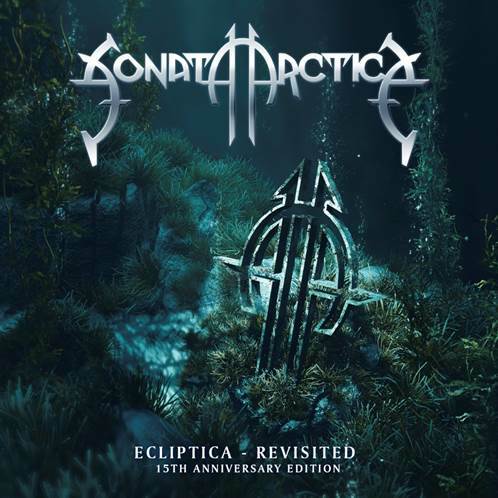 I know it does not sound like your everyday SONATA ARCTICA, but hey, why should it? it’s a GENESIS song. I hope you like it as much as I do. The tour was fun also outside the obviously hilariously, seemingly embarrassing bits you can see on the video. Great group of people packed in the two tour busses made the seven weeks on the road feel not at a day longer than five weeks, haha! Thank you DELAIN & XANDRIA. 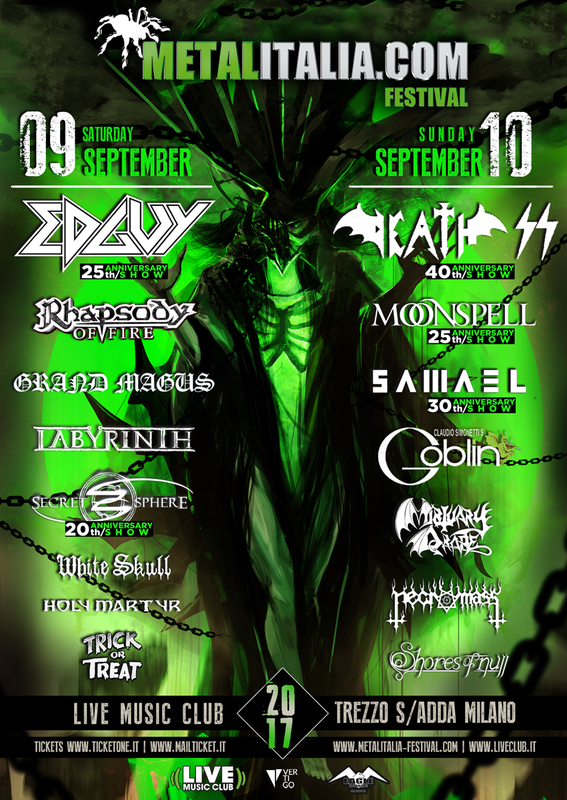 The »Pariah’s Child«-tour goes on, merging with »Ecliptica – Revisited«-tour that will go on until the autumn of 2015.